To be honest I have never been a real big fan of mac and cheese, but my guys love it. With the cool weather and wanting to make some comfort food, I decided to make mac and cheese, but change it up just a bit. I found a recipe that I thought my guys would enjoy. 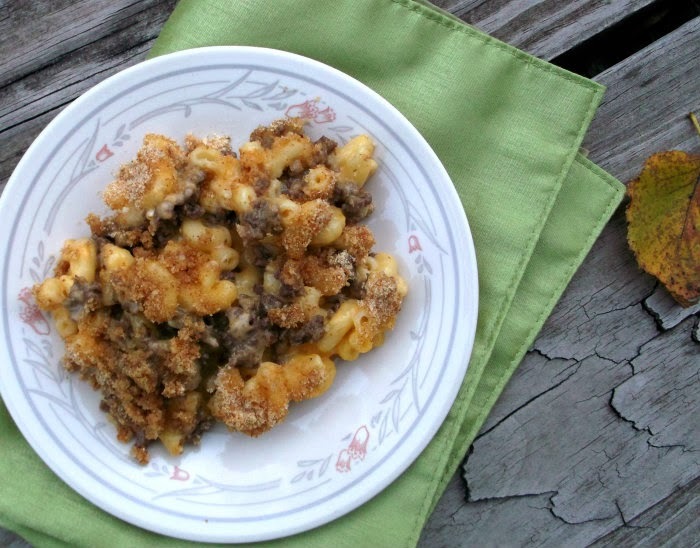 The mac and cheese is layered with ground hamburger, so it ends up being a meal in itself. Bread crumbs are sprinkled on top, the recipe called for soft bread crumbs, I used the bread crumbs that I had purchased. I think the soft bread crumbs would be better. 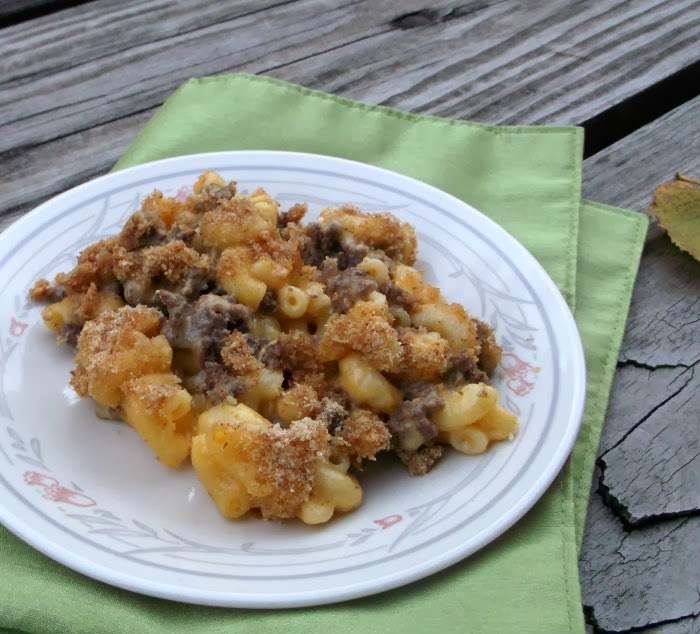 When I make this again I think I will omit the bread crumbs and add addition cheese. My guys like their mac and cheese with a bit of baked crusty cheese on top, but you can make it to your preference. What is your favorite mac and cheese recipe? I am always looking for new ways to make it and who knows I may become a fan of this dish too. 1. Heat oven to 350 degrees F. Spray a 2 quart casserole with cooking spray. Cook and drain macaroni as directed on package. 2. Meanwhile, in skillet cook beef, season with salt and pepper to taste. Cook over medium heat, stirring occasionally until beef is thoroughly cooked; drain if desired. 3. In a 2 quart saucepan, melt butter over medium heat. Stir in flour; cook until bubbly, stirring constantly. Stir in milk; cook for 5 to 6 minutes; stirring constantly, until mixture thickens slightly. Stir in broth, remove from heat; stir in cheese. Fold in the cooked macaroni. macaroni mixture. Top with bread crumbs or omit the bread crumbs and add additional shredded cheese. 5. Bake uncovered 25 to 30 minute. 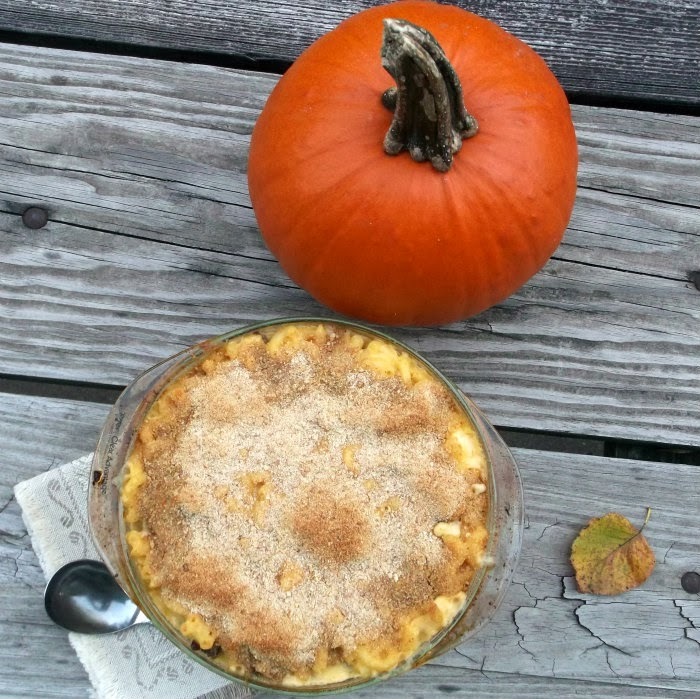 Mac and cheese is one of my favorite comfort foods! I know my boy would love this version! Looks and sounds decadent and delicious. My favorite mac ‘n cheese is the classic, with a Mornay sauce. But this looks wonderful! Love the idea of this – thanks.